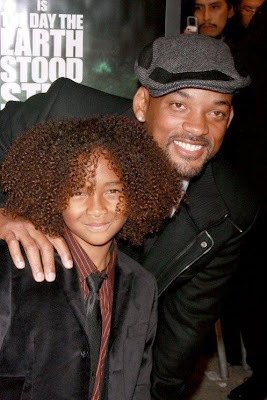 Will and Jaden Smith at The Day The Earth Stood Still premiere. I went to go see this movie yesterday. It was quite interesting a little long but interesting. I think its a propaganda for humans to be more environmental friendly. I'm sorry, that hair is wearing me out! iStyles, that's what I've heard about the film there's lots of environmental propaganda. I'm still curious to see it though.